The Olympics is a once every four-year event testing the limits of humanity’s athletic ability—more so this year as competitors compete in raw sewage. It’s safer for viewers at home, but for those without cable, it’s also a marathon of ingenuity and clever thinking to even watch it. Watching the Olympics without cable is easier than ever, but that doesn’t mean there aren’t some hurdles that need jumping. Don’t worry, just let this guide be your...er..view-enhancing drug. Because Rio is only one hour ahead of the eastern US, many Olympics events will be broadcasting live during normal human hours. That means no late nights waiting to see if the US nails the pommel horse. Of course, NBC will be airing replays aplenty throughout the two weeks. According to NBC, there will be 6,755 hours of programming spanning all 19 days of the Olympic Games in Rio de Janeiro (apocalypse permitting), which start on Wednesday, August 3rd. That’s 356 hours of Olympic stuff per day spread over multiple NBC-owned channels. Step 1 is figuring out what the hell you’re going to watch. All that programming will span 11 different channels: NBC, Telemundo, Bravo, CNBC, Golf Channel, MSNBC, NBC Sports Network, NBC Universo, USA Network, and “specialty channels” for basketball and soccer. Here’s a full breakdown of what exactly each channel will be playing as well as a schedule of events by day. NBC will be streaming live, whether through a browser or through its NBC Sports app for set-top boxes and smartphones. BUT! You will need cable login credentials (sad trombone). The most practical advice I can give you is to “politely borrow” credentials from a close friend or family member, Netflix-style. If that isn’t an option for you, then let’s proceed. This is the most straightforward approach, but also the most limiting. Because most of the Olympic coverage will be on cable channels, you’ll only have access to NBC and Telemundo if you spring for a $30 HD antenna. If that’s all the Olympics you need in your life, check out this great Lifehacker article on how to make sure you get the very best antenna for your home. 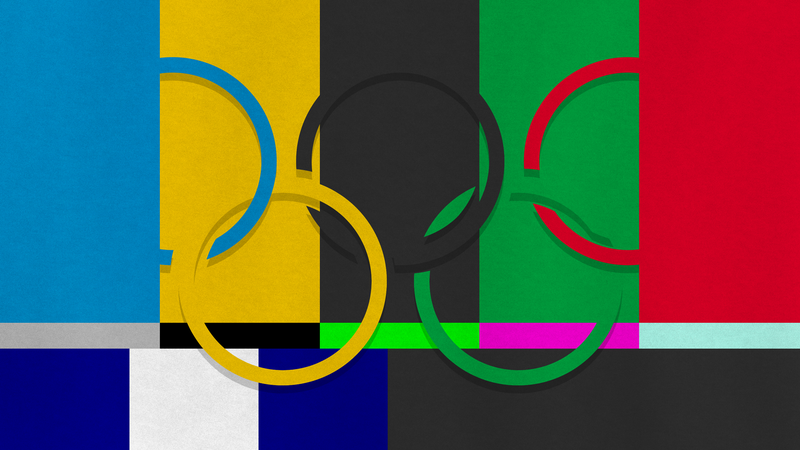 The new element to watching the 2016 Olympics is the advent of internet television. If you play your cards right (and haven’t already tested these services before), you can use free trials on both Sling TV and PlayStation Vue and kinda, sorta cheat the system. With Sling TV, you’ll get nearly all the Olympic channels. Because the service works by adding a bundle of channels piecemeal, you have some control over what channels you want and ones you can do without. Just be vigilant about that 7-day trial because Sling TV will start charging you after the period is over. Luckily, it’s a monthly service so you could also just pony up 20 bones and cancel after the Olympics are over. You can also get Sling TV on almost every set top box, as well as iOS and Android. Here’s a complete guide to how NBC channels work with Sling TV (including details on discounts for current subscribers). After the Sling TV well runs dry, immediately jump to Vue for another free trial. It offers a seven-day free trial before Sony starts charging you $$ (minimum $40 a month). One added bonus is that Vue keeps recordings for up to 28 days, but it’s not ubiquitous across all channels. You can also use Vue credentials to log into NBC’s app. Put PS Vue and SlingTV together and you’re covered for the whole Olympics sans money. However, it’s worth noting that if you go this route, you should make sure your network throughput can handle the streaming load, especially since NBC will be providing broadcasts in 4K. Netflix recommends 25 mbps throughput for 4K content and only 5 mbps for HD content. Sling TV recommends about the same. If you’re not sure what your data throughput looks like, check Ookla for a quick network test. Your phone won’t be able to serve as a complete replacement for the games, but it can be a helpful companion. 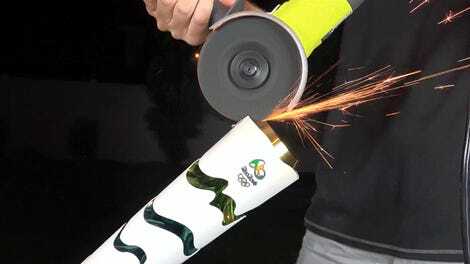 Google is putting Olympic Games searches front and center. You can set alerts for certain events and Google is also sending its own live-streaming team for some behind-the-scenes action. Facebook and Instagram will also be running a “social command center” (exaggerated eye roll) with NBC Olympics and will also offer behind-the-scenes stuff on Facebook Live, and will also host NBC commentators on both platforms. YouTube also has an Olympics channel that’s probably worth a subscribe. Finally, Microsoft’s Bing will be offering similar services to Google, including a well-designed schedule which is a good alternative to NBC’s overwhelming schedule of events.